Reviewed on Apr 22, 2014. This was my first trek – and of course it had to be one of the most remote places and during off-season – and by myself. In all my dealings with Trek Nepal and also the first meeting with the guide and 2 porters, it was very professional. The initial trek to Kanchangjunga base camp was fantastic; almost life changing. The guide and I instantly built a great rapport. I completely trusted him, his experience and knowledge. We got to the base camp 5 days early and I invited the guide to take me around Pokhara and trek to Ghorepani – again, in dealing with the permit requirements, hotel accommodation, restaurant suggestions, and wanting to really experience “local Nepal” – off the beaten track – I couldn’t fault the guide. 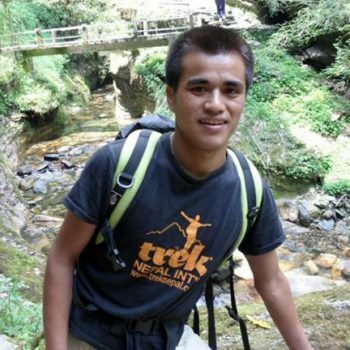 I highly recommend Pramod and will probably do my next trek in Nepal with him too!